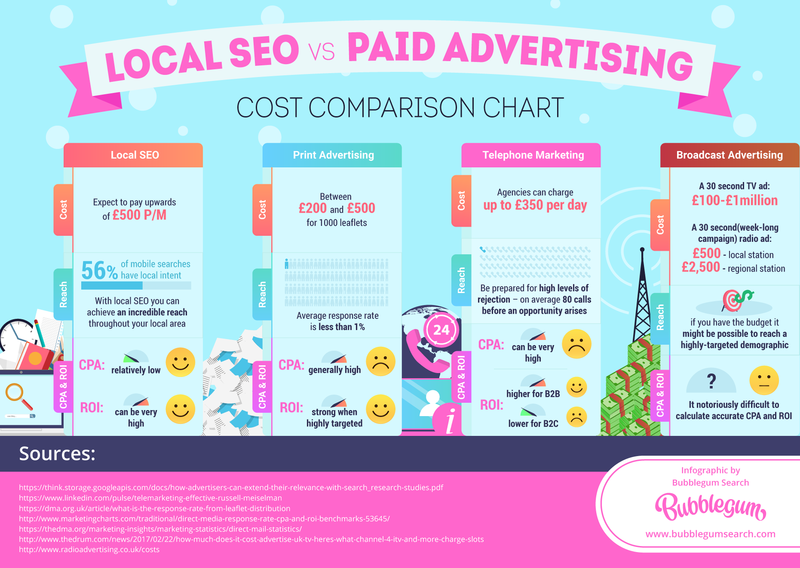 Local SEO vs Paid Marketing #infographic ~ Visualistan '+g+"
Most businesses are aware of the benefits that SEO can bring them, but when it comes to small businesses, it is Local SEO which can offer the most impressive benefits in terms of attracting new customers and increasing brand awareness in their local vicinity. Despite this, many small businesses are still relying primarily on traditional marketing methods – print, broadcast, telephone- to get their name out there. 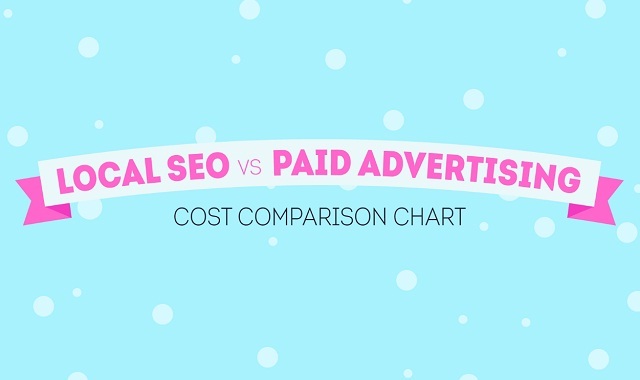 In an era in which consumers are increasingly turning to the Internet to find products and services, these traditional paid marketing methods are out in favour of local SEO which can offer significantly lower costs, higher ROI, and access to highly engaged local consumers.